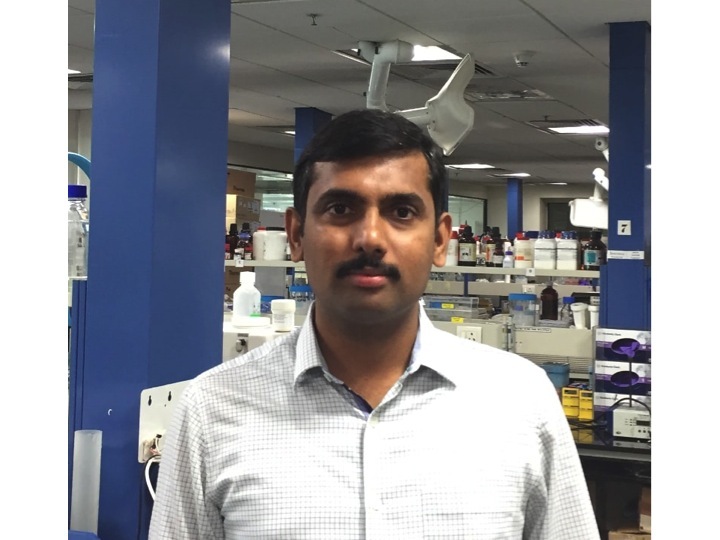 Sivaprakash Ramalingam is interested studying the genetic determinants of monogenic hematological diseases. He is involved in identification of fetal hemoglobin associated genetic variants/modifiers for disease severity of sickle cell phenotype using genomic technologies. He is also interested in site-specific genetic correction and targeted addition of a DNA molecule in mammalian cells including patient-derived human induced pluripotent stem cells (hiPSCs) using gene-editing nucleases. Reprogramming of patientâ€™s somatic cells into disease-specific iPSCs to understand the molecular mechanisms of underlying disease phenotypes. Pharmacological and molecular approaches for the treatment of β-hemoglobin disorders. Lohani N, Bhargava N, Munshi A, Ramalingam S. J Cell Physiol. 2018 Jun;233(6):4563-4577. doi: 10.1002/jcp.26292. TALEN-mediated generation and genetic correction of disease-specific human induced pluripotent stem cells.Ramalingam S, Annaluru N, Kandavelou K, Chandrasegaran S. Curr Gene Ther. 2014;14(6):461-72. V, Suarez A, Wong A, Wong R, Xie WR, Xu Y, Yu AT, Koszul R, Bader JS, Boeke JD, Chandrasegaran S.
Science. 2014 Apr 4;344(6179):55-8. doi: 10.1126/science.1249252. Epub 2014 Mar 27. Erratum in: Science. 2014 May 23;344(6186):816. A CRISPR way to engineer the human genome. Ramalingam S, Annaluru N, Chandrasegaran S. Genome Biol. 2013 Feb 26;14(2):107. doi: 10.1186/gb-2013-14-2-107. Generation and genetic engineering of human induced pluripotent stem cells using designed zinc finger nucleases. Ramalingam S, London V, Kandavelou K, Cebotaru L, Guggino W, Civin C, Chandrasegaran S. Stem Cells Dev. 2013 Feb 15;22(4):595-610. doi: 0.1089/scd.2012.0245.